We’re all trying to be found online. The best way to do that? Optimize your online content for the top search engines – Google and its subsidiary, YouTube. Google determines who can see you and how easy it is to see you, and Youtube is a huge part of that algorithm. It can feel overwhelming to get started on YouTube. However, once you’ve created your channel and want to start uploading videos, just keep these few things in mind to ensure your videos rank highly on both search engines. Keywords are the foundation of an entire YouTube channel. These are the words you want to be found with. Include them everywhere: the title and description, within your video content, or even in the name of the thumbnail file you upload. Sneak them in wherever you can! Do some research to see what viewers are searching for. We recommend using Trends.Google.com and the Google Ads Keyword Planner, but there are a ton of keyword resources out there! Of course, this is what your video is called. You need to keep it clear, compelling and concise – less than 60 characters to ensure it won’t be cut off in search results. Also, be sure to include your most relevant keywords first. This is the copy that drives views and engagement on your videos. Always include relevant keywords and CTAs within the first 100 characters, because after that users will have to click “show more” to see the rest of your description. Something most people overlook is including a transcript of the video in the description; however, this drastically improves the video’s SEO as the video content is typically full of the keywords you want to be found for! At the end of the video description, you’ll include your default channel description, including links to your social channels, video credits, or video-specific timestamps. Highlight your primary keywords in the video tags. Tags associates your video with similar videos, broadening its reach. Utilizing closed captions and subtitles on your YouTube videos further optimizes your video, as well as helps viewers that may need assistance understanding your content. This is yet another opportunity to include the keywords you want to be associated with. There are several ways to add this significant text to your videos: upload a text transcript or timed subtitle file, allow YouTube to automatically time the subtitles, type the subtitles yourself while watching the video, or hire someone to do it for you! 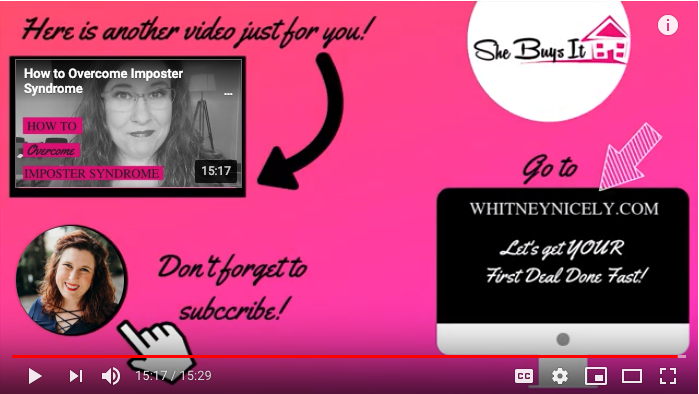 Cards and End Screens take your YouTube content to the next level by providing viewers the chance to really engage with your videos. Video cards are rectangular notifications that appear over videos, and you can include up to five of them. End Screens extend your video 5 – 20 seconds. Utilize both of these to poll viewers, link to external websites, or direct viewers to your YouTube channels or other videos. This allows people to continue engaging with your content beyond the first video they watch. Along with the title, a video’s thumbnail is what gets people to watch it. It is the small, clickable image that represents the video. A good thumbnail can instantly grab people’s attention and differentiate your brand on a platform clogged with standard thumbnails, so always be sure to upload a custom one rather than the auto-generated ones from YouTube. Thumbnails can affect your search ranking on YouTube, too. Since your video’s click-through rate is one of the most important ranking factors in YouTube’s search algorithm, an eye-catching thumbnail can make a huge difference in ranking high in searches. The YouTube Creator Academy reports that “90% of the best performing videos on YouTube have custom thumbnails. Once you’ve uploaded a video on YouTube, you’re not finished there. You need to also actively manage engagement (likes, comments, views, etc.) on your videos. YouTube’s algorithm follows the audience, paying attention to engagement signals such as video likes and comments. It’s important to encourage and nurture these for a higher search ranking. 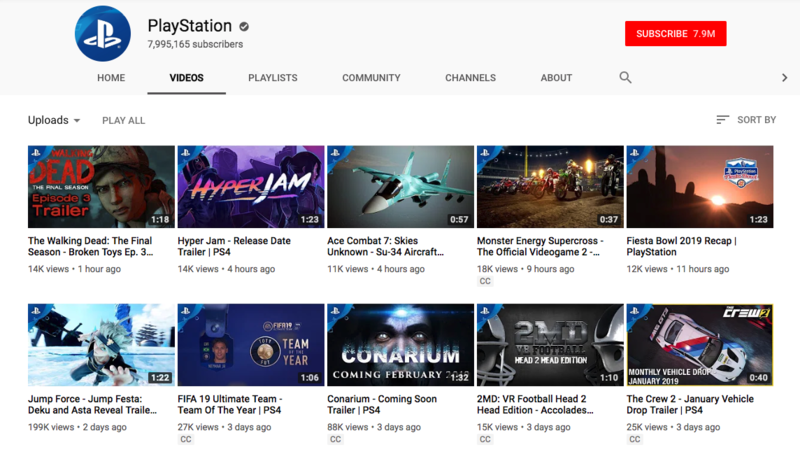 Follow this eight-part checklist for all your organic YouTube content, and you’re off to the races! Your videos will be heavily optimized, and more people will likely see them because of it. 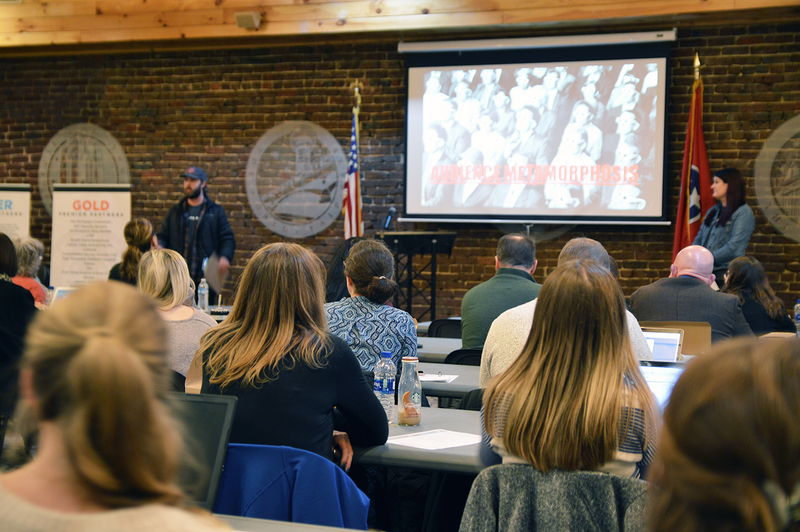 We recently spoke at the Knoxville Chamber’s Digital Marketing Series. Our presentation, “Push Play on Growth,” covered all things related to YouTube marketing. We’re going to be taking a ton of that information and turning it into several blog posts, so be sure to stay tuned for more content in this series! If you have any questions related to YouTube content creation or advertising, drop us a note!